By following the Infinity approach, students realize for themselves that they may have an academic, social or emotional aspect of learning that needs to change. It is about the student making those decisions and not a teacher or parent taking over and deciding what is best for the student. Positioning the students as the agent of change, with support from their teachers and parents, is a simple but powerful lever. Our research findings show that most students experience an immediate lift in confidence as they sense that their teachers and parents value their views and support rather than judge their follow-up actions. A sense of self-belief is critical for students to take responsibility to address their learning-how-to-learn goals. 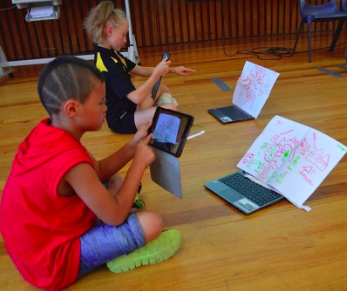 Some see the need to shift from passive to active learning, others start to see value in interactive over reclusive learning and many start to recognize the modern-day merger of school-centric and broader ecological learning in homes, communities, environments and via cyberspace. For more strategies on how to leverage the learner, check out the Featured Resources section to the right. Students being reflective and honest about their own strengths, interests, and web of learning interactions is important when building a strong Learning Map. In turn, teachers are encouraged to underpin the mapping exercises with a positive and appreciative theory whereby every child is considered capable of analyzing and shifting their learning situations by being reflective on areas they want to change. Taking a positive stance towards student capability makes a big difference to those students who have often been scripted as the problem and had things done ‘for’ and ‘to’ them, often with the best intent. Shoulders lift and smiles and laughter appear as students, teachers and parents with fresh eyes start seeing new and positive possibilities within the students’ learning situations through honest reflection. For more strategies on how to teach self-reflection, check out the Featured Resources section to the right. Another key aspect to think about when engaging in the science of learning-how-to-learn, is allowing students choice around HOW they show mastery. This can be based on the strengths they have identified from their Infinity Learning Maps or chosen from their student based project. The purpose of offering multiple paths to mastery is to allow students to drive their own learning, while also insuring that true learning mastery is being tracked and not just mastery of the task at hand. For more strategies on how to allow students to show mastery in multiple ways, check out the Featured Resources section to the right. For more information about Infinity Learning Maps and additional support around implementation, please visit our website or download our e-guide. 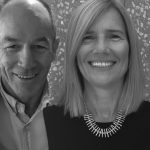 Brian Annan and Mary Wootton are co-directors of Infinity Learn Ltd, a company focused on practical in-roads for teachers into the science of learning-how-to-learn. Brian and Mary went from teachers and leaders of elementary and middle-schools to leading schooling improvement projects and are now designing personalized mapping and networking activities for future-focused teaching and learning.